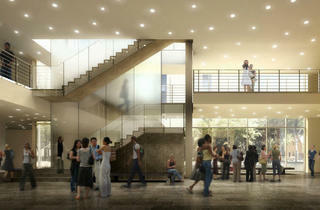 Tod Williams Billie Tsien Architects design the new Hyde Park building. Photograph: Tom Rossiter, � University of ChicagoReva and David Logan Center for the Arts, University of Chicago. View from the south entrance. Photograph: Tom Rossiter, � University of ChicagoReva and David Logan Center for the Arts, University of Chicago. View from the south. 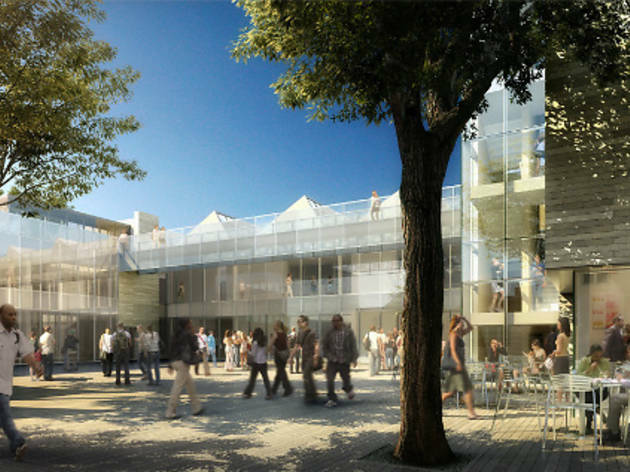 Photograph: � University of ChicagoRendering of the Reva and David Logan Center for the Arts courtyard, University of Chicago. 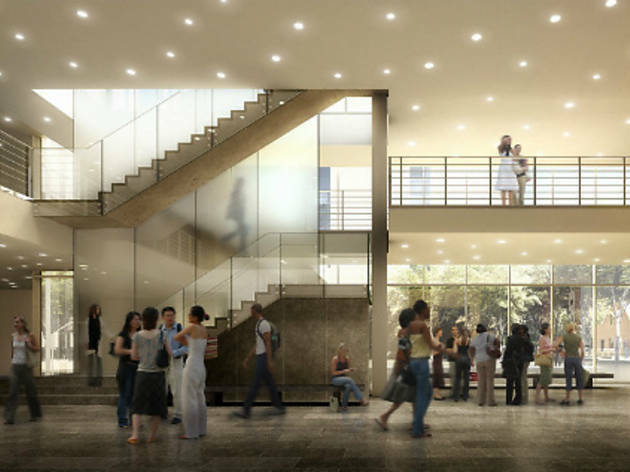 Photograph: � University of ChicagoRendering of the Reva and David Logan Center for the Arts Gidwitz Lobby, University of Chicago. 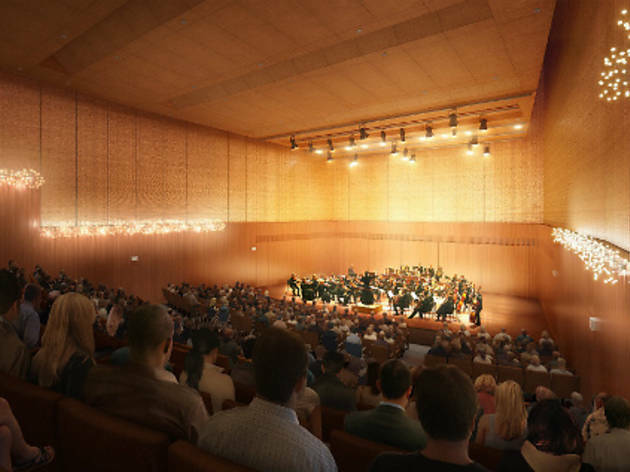 Photograph: � University of ChicagoRendering of the Reva and David Logan Center for the Arts Performance Hall, University of Chicago. 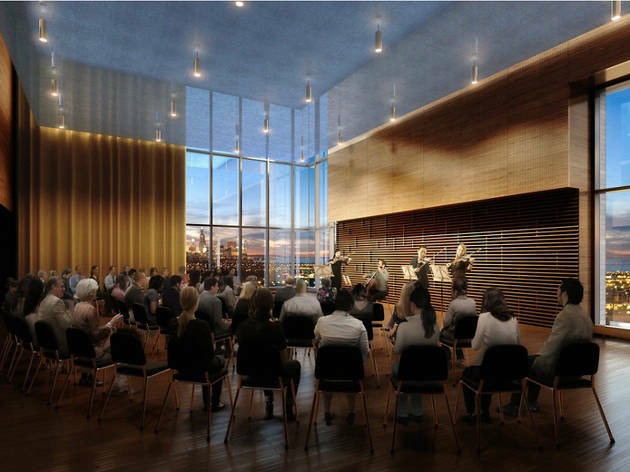 Photograph: � University of ChicagoRendering of the Reva and David Logan Center for the Arts Performance Penthouse, University of Chicago. Photograph: � University of ChicagoRendering of the Reva and David Logan Center for the Arts workshops, University of Chicago. “Everyone’s been looking forward to moving in,” Jessica Stockholder says as we sit in the lobby of the University of Chicago’s new Reva and David Logan Center for the Arts (915 E 60th St). “It’s beautiful; it’s comfortable. 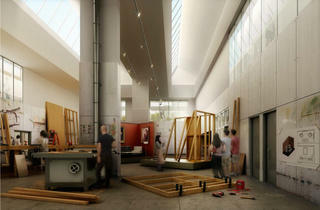 It’s transformative for the Department of Visual Arts,” adds Stockholder, DOVA’s chair. 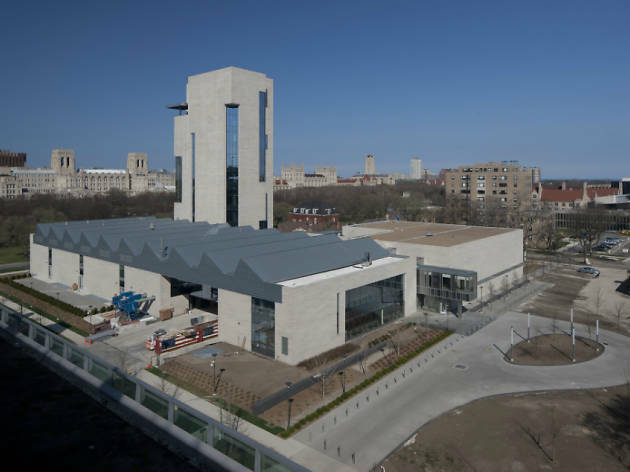 The catalyst for the Logan Center was a 2001 initiative that brought together university faculty, students and staff to discuss the future of the arts on campus, Michel explains. 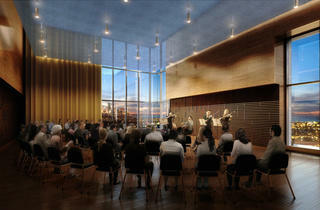 Their report included a recommendation for an arts center. 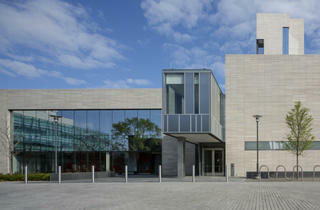 In 2007, New York–based Tod Williams Billie Tsien Architects won the competition to design it. 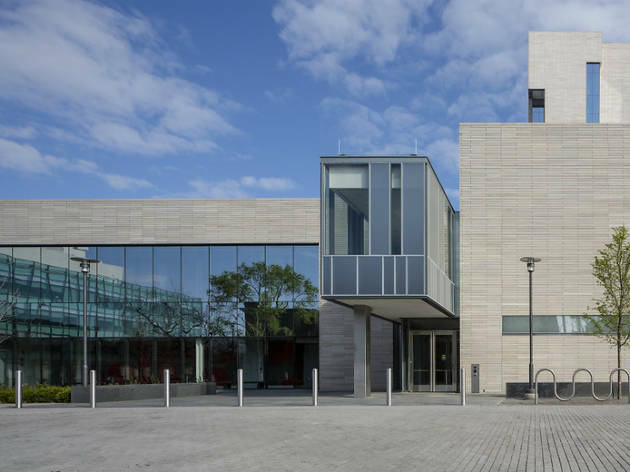 The firm’s best-known projects include New York’s former American Folk Art Museum and the controversial new Barnes Foundation in Philadelphia. The $114 million center’s gray interiors, punctuated by bursts of blue and red, make it somewhat austere, but it’s an elegant building that promises to be an invaluable asset for the university. 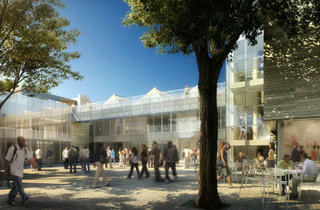 Ideally, the center will also help U. of C. shed its reputation as a fortress walled off from the surrounding community. “We’ve called it a two-way portal, both as a building and a set of activities that I hope will welcome our neighbors and the entire city,” Michel says. “We are already partnering with a variety of artists and arts organizations on the South Side to work with our students and faculty in creating new projects, or to use the spaces here periodically for their own work.” A Community Open House Saturday 21 includes a “musical conversation” with local jazz pianists Willie and Bethany Pickens. 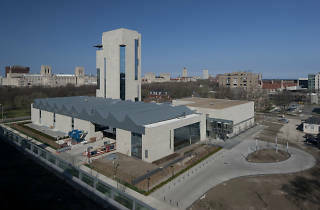 The Logan Center contains several public facilities, such as a gallery, two theaters, a 474-seat performance hall, a 120-seat screening room that can show both 35mm and 3-D films, and a café. 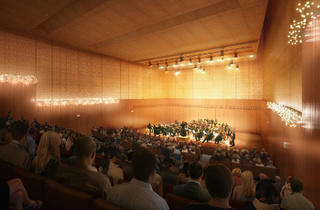 Much-needed rehearsal rooms, classrooms, a film vault, a digital-media lab and workshops are among the private spaces. While its café won’t open until the fall, the center is already hosting lectures, exhibitions and other events, like a May 5 symposium related to the Smart Museum’s popular “Feast” exhibition. The May 18–20 conference Comics: Philosophy and Practice brings Lynda Barry, Alison Bechdel, R. Crumb and other comics stars. DOVA, which moved its administrative offices and studios into the Logan Center from the university’s historic Midway Studios, kicks off its M.F.A. shows in the Logan Center gallery May 2. The department’s new undergraduate and graduate art studios are stunning. According to Logan Center spokesman Mitch Marr, the visual-arts M.F.A. program has approximately doubled in size during the past two years. Other departments, such as music, are growing so much they plan to keep their off-site space, Marr says. 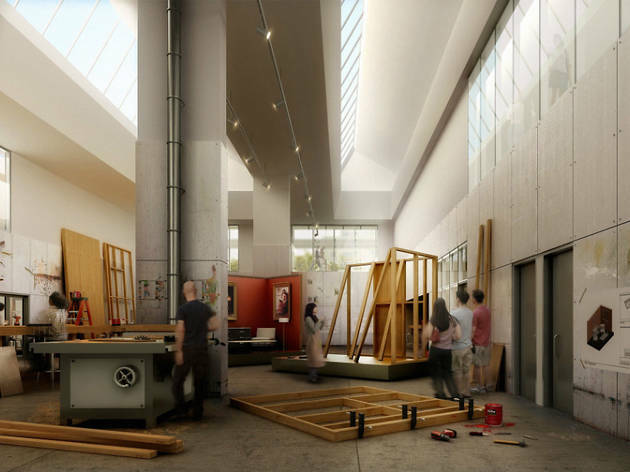 The Logan Center for the Arts hosts a Community Open House Saturday 21.